The anaglyphs definitely have the quick and easy approach. . .my biggest beef is that I get eyestrain rather quickly when wearing the glasses. And, the images are much less useful on their own as compared to stereo pairs. 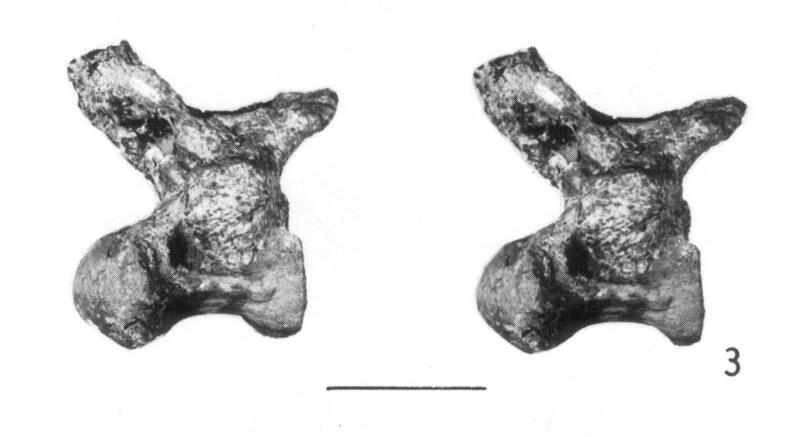 I don’t always have my stereo viewer out, but I can still get good data out of the Majungasaurus vertebral figures in the O’Connor 2007 paper. I don’t think this would be the case were it printed in red and green. I can’t speak from personal experience, but do the anaglyphs work ok for folks with color vision deficits? 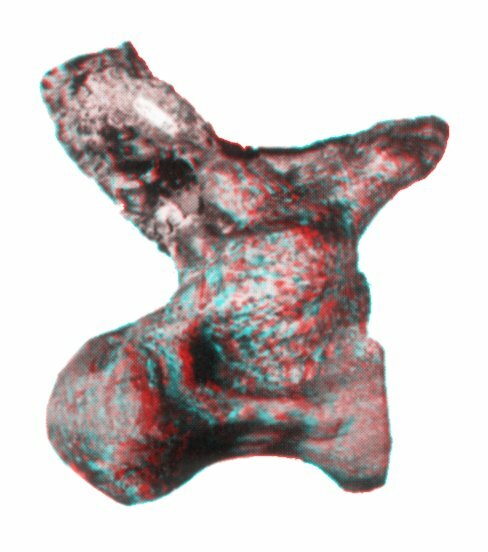 So Matt was right, the vertebra is pneumatic, and a beautiful friendship was saved by the power of red-cyan anaglyphys. Yay! Yes, but for those of you following at home, you can also save your beautiful friendships by backing down when someone else has access to data that you don’t, instead of playing the stubborn arse. That approach only works when you’re confident that your friend isn’t hallucinating. Here’s another question: how fast can you get the wigglegram to wiggle? If you could do it rapidly enough that your eye didn’t have time to focus on an individual image, it should appear as a single, static 3D image on the screen. 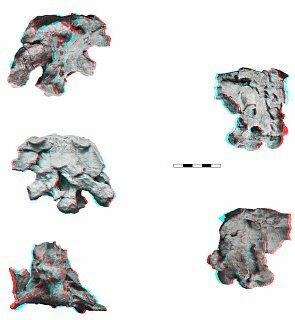 Jeff, I don’t know of anyone having published anaglyphs of a palaeontological specimen (though they have been used in illustrating other kinds of specimens — I just don’t remember the deails). 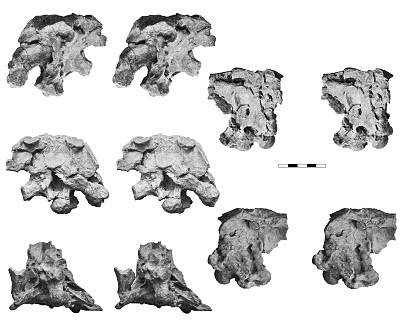 I’ve prepared a few that will be part of the Archbishop description when that finally gets done, and others of various ostrich-skull bones, which I hope will eventually make it into a published cranial osteology. But they are both a ways off yet, so you could easily beat me into print. As for the wigglegram (and BTW I googled that term and it doesn’t seem to be original to me after all), you can surely publish it as Supplementary Information in almost any journal? On wigglegram speed: I think you could get it to move very quickly. If I read the example of http://en.wikipedia.org/wiki/Graphics_Interchange_Format#Animated_GIF correctly, GIFs can animate at anything up to 100 frames per second, though one particularly crappy browser won’t display them faster then 20 fps. But I am far from convinced that this would give you the effect you want. Maybe I should experiment. The rule is really much simpler: Matt is always right. Can you think of any case where you and he disagreed and he wasn’t? Those wiggle-grams are a really cool, cheap idea for three-dimensional viewing of specimens. Wow! Nice — thanks for passing that on. At the very least, they’re good for teaching or getting something across to colleagues who don’t have access to a particular specimen. Has anyone considered putting the specimen on a turn table and rotating it slowly with a digital camera or something similar? this would give a good idea of the “3D ness” of an object. I, personally, cannot stereopair without the aid of a viewer, it hurts my eyes. Nathan: you have NO idea. Matt’s wrong so often, it’s not even funny. The only thing that stops this from being apparent much more often is that he is lucky enough to have me around to correct him. When Matt Brown was still here at PEFO, he put the Revueltosaurus skull reconstruction he made on a stool covered with a black dropcloth and filmed it turning. He showed the movie during his SVP presentation, and it looked like something you might have gotten out of the UT digimorph project. I wonder if you could use a high-speed wigglegram effect to create a 3D effect with normal film. Could you film something with two parallel cameras, and splice the frames together so that left and then right frames were shown in the time normally taken to show a single frame? Would that create a 3D effect? Or could it be that I just don’t know a goddamned thing about optical effects? I thought there was a PaleoElectr Dinosaur Footprints paper that used red/cyan anaglyphs a few years ago. We’ve used them for posters-you can hang the glasses with the poster for ppl’s use, and they’re really useful with CT data/models (like viewing braincases and palates) and many software packages have built in anaglyph-making functions. But they still often carry a kitschy value. Andy’s comment is spot on: red/cyan is nice, but without glasses, you can’t get any data out of the figure, thus you still need additional photos of the specimen. I like stereopairs, I don’t need viewers to get them to work. AAAAAHHHHHH!!!!! Mike – you’re going to give me a brain aneurysm. It is a common misconception that one is supposed to “see” stereopairs correctly with the naked eye, a la “magic eye” images. Some of us can do this, but the actual proper way to view stereopairs is to use a binocular stereopair viewer. These are relatively inexpensive and easy to use; they also don’t require any sort of “unfocusing” of the eyes or other BS. Regarding the wigglegrams – I think they are nice, but they don’t convey as much depth as well-done stereopairs and anaglyphs. Also, its hard to focus on specific features when they are constantly moving. Thanks for the reminder, Randy. I think a brain aneurysim is going a bit far, though. I agree with Casey – anaglyphs are great with glasses, but hard to interpret without. The one advantage of stereopairs is you can still get info and good detail from them with the naked eye. Though, the flipside (as you previously mentioned) is that stereopairs take up a bunch more space. Instead of moving the objects in cases like this, move the camera around the object? And that, of course, is exactly what we do, when it’s possible to move all the way around the object. But this is inherently more error-prone that using a turntable: it’s almost inevitable that as you move around, the camera’s height, attitude, distance from object, etc., will change. So a turntable is best when possible — even the ad-hoc “turntable” that is a mounted vertebra on a bench, that can be slightly turned between consecutive photos. In stop-motion animation we often just move the camera a bit, take a picture, move it a bit, take a picture etc etc, then string together the images as an image sequence in after effects to animate camera moves. It allows for a pretty high level of camera control even with a really low tech setup (a steady hand or a tripod). One could conceivably use this technique to make a smooth high def rotating video of a large specimen. Might have to manually center up the subject in photoshop, but the tedium might be worth the cool 3d dinosaur matrix-move payoff! I’ll try it next time I’m at a museum and throw it up on the web if something nice comes from it. Wow this is pretty cool stuff! 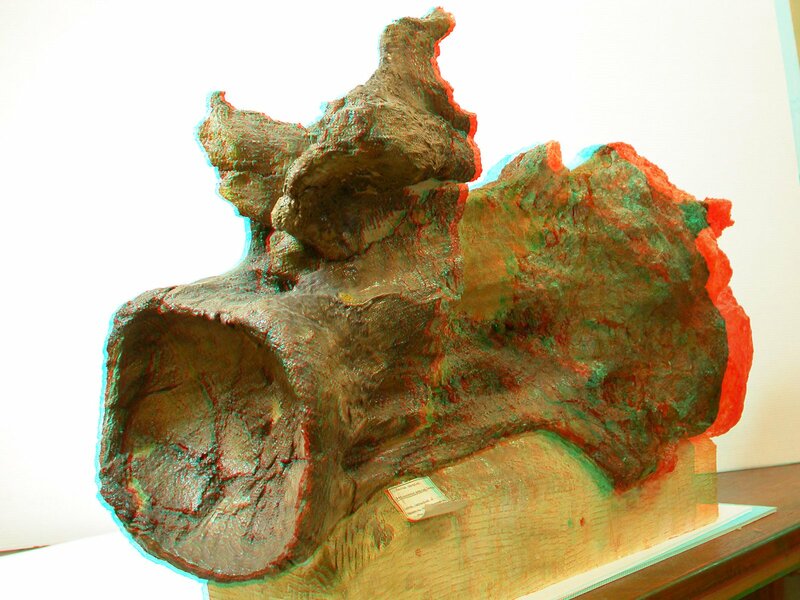 Now I know why Dr. Powell put in so many of those stereo-photographs in his 2003 paper on titanosaurs. I just wish papers came with the 3d effect built in so that all you need to do is pop on the glasses. An idea I had for viewing anaglyphs without glasses is to horizontally *displace* the red layer from the cyan layer by a gap small enough to let the viewer easily ‘unfocus’ as with stereopairs, the advantage over the latter being that one could compose an anaglyph in full colour of *any* given size with two images that overlap rather than stand side by side. This is guessing that each eye, receiving two images from the two layers, could ‘ignore’ the one irrelevant to itself and attend to the appropriate image specified by its similarity to another in the opposite eye. Unfocussing might then be difficult though, and I think one could aid that by imposing rows of tiny markers on the final image (for instance rombhi within which each pixel is the same as before but with higer intensity), with the markers spaced by the distance between the red and cyan layers, allowing one to squint until two consecutive markers merge. I can’t see stereopairs (without a viewer – but I didn’t even know viewers exist). I can see anaglyphs (with the appropriate glasses, obviously). 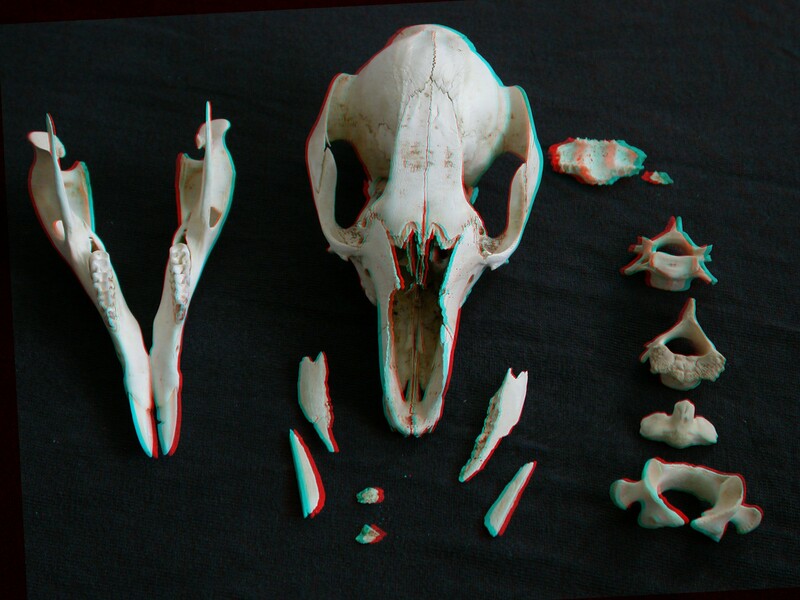 Hei, I have been trying to find a way of converting stereograms to anaglyph but haven’t found the right software. On the contrary i have found some programs that require to separate the image into left and right then convert to anaglyph. However i have so many images and this Do you know of a software that can do this in 1 step? Wigglegrams most awesome, for mine. I don’t ‘suffer’ from the stereoptic illusion – an optometrist the other day referred to me as an ‘alternator’ – and have always been able to move my eyes independently (not quite like a chameleon) and pay attention to one or the other image, but not both at once. I can see depth in random-dot stereograms by looking from one to the other, but get nothing from those Magic Eye pics. Hence any attempt to overlap or superimpose still images is kinda wasted, as long as I can switch attention from one to the other quick enough. But the wigglegram gives me exactly as much 3D info as the anaglyph without needing the glasses and getting the headache.